Sonic & Shadow (c) Sega. PS: I cannot remember whose brushes I used, sorry.. So if you see any brushes of yours in here, lemme know! its a really cool journal ! 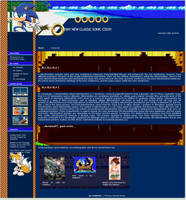 ultimate sonic and shadow journal skin its awesome! Heh, this is awesome. Nice work. the beautiful! if I'll use it! The images for the "Website", "Gallery" and "Journal" buttons are broken. I checked the links and apparently they no longer exist. Can I use this if I get a Premium Membership? I really would like to use it - but I can't install it. This is awsome! I,ll definitely use this. 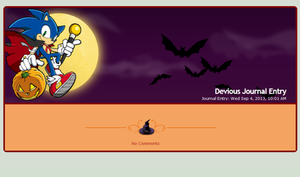 This is an awesome Journal CSS! This is a fantastic journal css! If you want to upload my css to your gallery, upload only the preview image, NOT the files, and link back to my original deviation. Oh, thanks! Also, please don't upload the file package, just the preview then, and tell em to download it from my gallery as well. Thanks again! Then download it. Google it, it's free and takes barely 5 minutes. Please read and follow the instructions in the description. I may be use it for club block.